I made this necklace out of little treasures and things I found while I was traveling, out walking in in the desert and the beach. The foundation is made from leather cords and Chinese cotton and silk in soft shades of turquoise, pink and ecru. 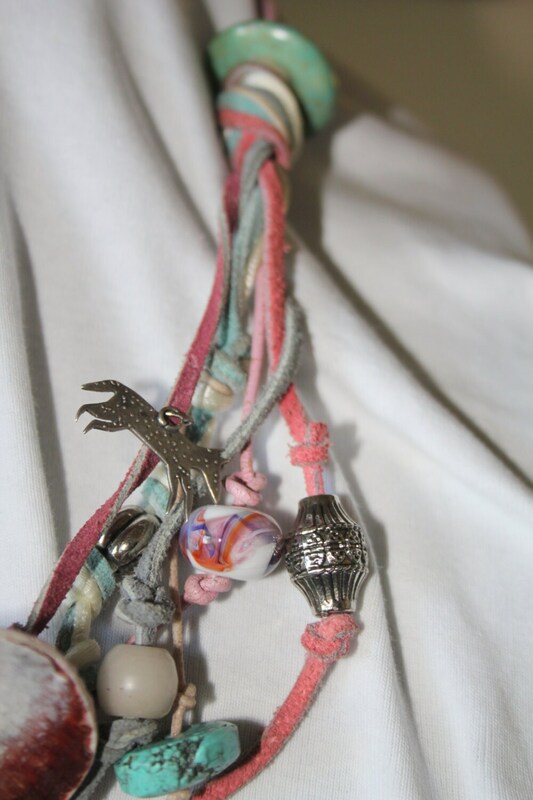 The treasures include: Shell, Sterling silver charms- horse, wolf, hand turtle, doughnut, lamp-work beads, silver hollow beads and turquoise nuggets. 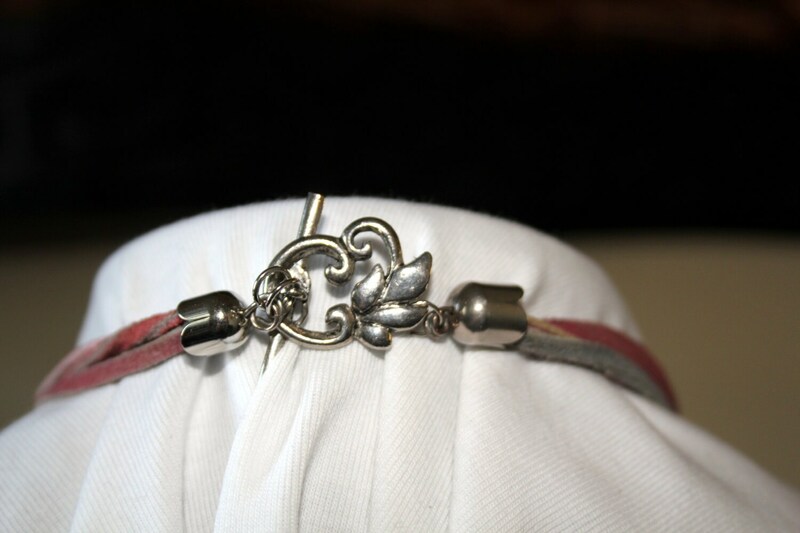 The clasp is a silver-toned vine design toggle. 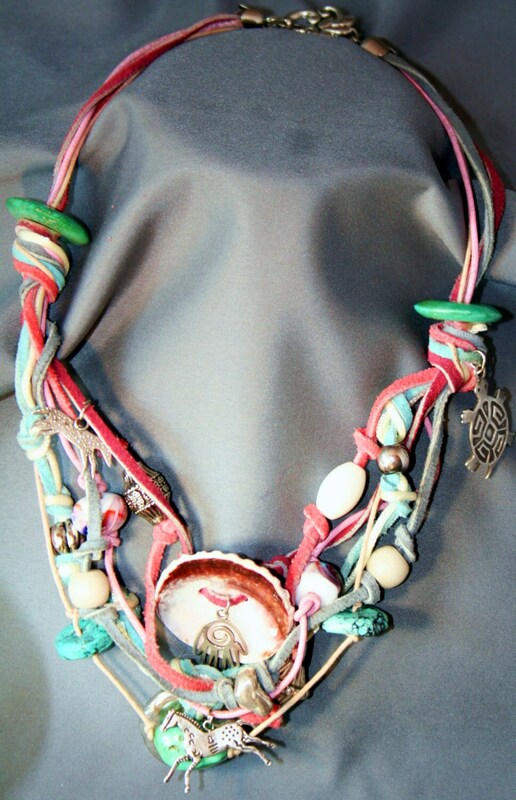 The necklace hangs 13 inches from the back of the neck to the collar bone and then drapes to another 5 inches. 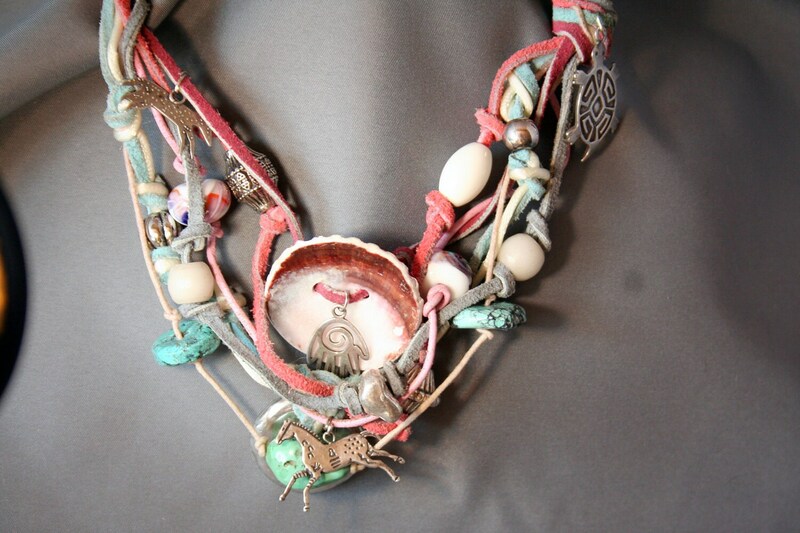 It is stunning on black or white and can be worn with dressy clothing, especially western, or with jeans.